July 13 in St. Petersburg at the stadium "Arsenal" was a large-scale urban event - "Festival of colors". JSC "Nevskaya palitra" became a partner of the event, which taken part more than 6,000 people. 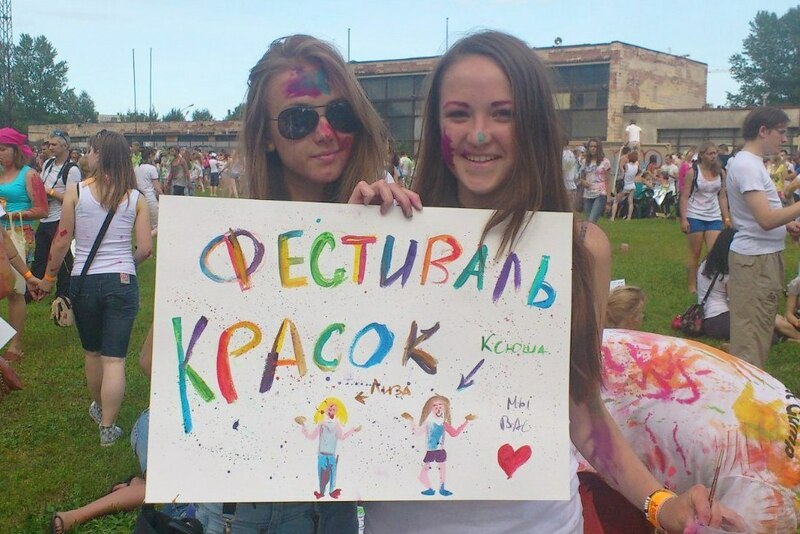 This day was the most" colorful "event of the year and one of the most popular (the results sent to the Russian Book of Records). JSC "Nevskaya palitra" has provided "Wall of Peace" (a huge canvas on which everyone could leave their colorful trail), workshops for children on painting of wooden blocks and watercolor drawing, colorful art objects.